In a congratulatory message addressed to Shri Narendra Modi, Ven. Banagala Upatissa Nayaka Thero, President, Mahabodhi Society of Sri Lanka, has while noting with supreme joy that Shri Modi has been the first leader of modern India to represent the timeless and ancient city of Varanasi in the Lok Sabha, called on Shri Modi to lead India like the great Cakkavatti Emperor Ashoka and in a manner that will illuminate our part of the world as it did in Ashokan times. In offering prayers for the success of Narendra Modi’s epochal mission of heralding India to new heights in global leadership similar or on par with that attained by Ashoka, who ushered in the first state in world history dedicated to rule by righteousness over 2300 years ago. invoking the blessings in the verse “Devo Wassathu Kalena” being blessings to the world – and blessings that have withstood the test of time in Sinhala Buddhist culture beginning from the time of the Anuradhapura era. Cakkavatti (pali) or Chakravartin / Chakraborty (sanskrit) basically means the ideal universal ruler, who rules ethically and benevolently over the entire world. It has also been interpreted as “through whom the wheel is moving” or ‘wheel turner’ in the meaning of “through whom the Dharmacakra (“Wheel of the Dharma) is turning” (most commonly used in Buddhism and Hinduism). Dharmashoka is the best example of a Cakkavatti ruler. A Chakravatin (possibly Ashoka the Great), 1st century BCE/CE. Andhra Pradesh, Amaravati. Preserved at Musee Guimet. Upon his conversion to Buddhism, Ashoka dedicated himself to the propagation of Buddhism across Asia. Ashoka saw in Buddhism a highly enlightened metaphysical doctrine that could also address moral and ethical concerns of society and serve as a cultural basis for the political unity of India and Asia. Ashoka is also referred to as Samraat Chakravartin – the ‘ Emperor of Emperors Ashoka’. His name ‘ ashoka’ means “painless, without sorrow“. The Mahabodhi Society’s appeal to Modi to emulate Emperor Ashoka’s dharmishta governance is absolutely on TARGET! This is what I myself have been preaching to those who vilify Modi as a one-dimensional Hindu nationalist. Modi’s Hindu credentials are tempered by his experience of not only the Discrimination he suffered from his Hindu high-caste countrymen, but also his Buddhist heritage in Gujerat that has opened his eyes to anti-caste message of the Lord Buddha. He knows that Buddhism incorporates the BEST of Vedic Hinduism and none of the vices of Hinduism as practiced by its caste-bound followers. Modi is not the ONE DIMENSIONAL man defined by his critics; he may yet surprise them by what he achieves in the Best Interest of India! Certainly, we Sinhala Buddhists of Sri Lanka wish him well, and invite him to guide India in the direction of FRIENDSHIP towards Sri Lanka, rejecting both the Racist Tamil Nationalists of Tamil Nadu seeking to divide and conquer Sri Lanka, and the siren songs of the Neocolonialist West seeking to pit India against China exploiting and exacerbating in India’s own internal divisions. I agree with your sentiments but let us not forget Modi is not a “RULER”. He cannot rule India. It is utterly stupid to consider him like a” ruler” similar to calling Rajapakse “Maha Raja” after the war. They have a political base and it is very difficult to “RULE” that base even let alone the whole country. I am optimistic and a very good sign is his invitation to Rajapakse. having said this, it is Hindus who did the most damage to Buddhism in India but I don’t agree Modi will cause Hindu religious dominance, his ploy could be similar to Bandaranayake’s. I said this first – my standard of a GOOD Endian ruler is emperor Asoka. But comparing Modi to Asoka or hoping Modi will be like Asoka is an insult to the GREAT Buddhist leader. Modi has blood on his hands and is NOT repentant of it. Unlike Asoka who repented and corrected his ways. One similarity between Asoka and Modi is BOTH failed to conquer the Tamil country Tamil Madu. Modi is not a RULER, but with his can-do personality backed up by the parliamentary majority he has won, he comes as close to a Ruler of India as you can have. He is a man who likes to be in charge, and is very authoritative. You will see him surround himself with trusted technocrats and will rule with a very small Cabinet. In his speech to the Lok Sabha he has already given notice that he wants his administrators to concentrate on performance and not be lulled into incompetence by the granduer of their titles and positions. Regarding his being a Hindu Nationalist … I have no problem with a Hindu Nationalist running a Hindu majority country …. that is as it should be … just as I have no problem of a Buddhist Nationalist running Buddhist majority Sri Lanka …. that too is as it should be. Like the Sinhala majority of Sri Lanka, who were suppressed and dispossessed by the British who largely ruled their colonies employing a divide and conquer strategy through favored minorities who they imposed on the suppressed majority, until SWRD Bandaranayake championed their cause and liberated them, the Hindu majority of India, long suppressed by the British and governed through various minorities, will now take hold of the reins of their country. Without successive SLFP governments the Sinhala people would still be an uneducated dispossessed underclass without access to equal opportunity to better themselves in their own country. As it was in Sri Lanka in those bad old days, in India today Hindus still form the bulk of the poor, the dispossessed, the illiterate, and caste-discriminated people of India, so much so that India lags far behind Sri Lanka in the Human Development Index. Besides growing India’s economy and infrastructure so India can compete more effectively in the Global Marketplace, Modi with his slogan of “Toilets before Temples” gives every indication that he will deliver Social Equity that successive (largely) SLFP governments delivered to the Sri Lankan people. Every citizen of India will benefit from it, but no segment more than its millions of poor and dispossessed people of ALL COMMUNITIES. Regarding Hindus destroying Buddhism, that is not supported by historical evidence. India was Hindu long before the Lord Buddha preached his immortal message of universal compassion and goodwill towards all living things. His message was in fact largely motivated by the caste-related inequities that he saw even in his day. So we might say that when Buddhisim was seized upon by intelligent kings of India, largely of tthe the Mauryan and Gupta dynasties and the descendents of Bactrian kings (eg. Menander of Milinda Prashna fame)), you could argue that Buddhists destroyed Hinduism. In making such judgments we must understand that Buddhism originated amonng the Hindus and went out of favor centuries later …. among the Hindus. 1. Buddhism lost to Hinduism in India because it does not provide a religious basis for one segment of a society to dominate and thrive at the expense of others in that society. Hindu leaders found the divine religious basis offered by Hinduism a convenient prop to brainwash the lower classes into accepting their lot as a consequence of their karmic destiny. Lacking the teaching of Buddhism that every sentient being has the ability and opportunity to better himself, ennoble himself, do good, and attain nirvana was absent from Hinduism. Therefore, PERMANENCE of their dominant status was assured to the ruling classes, and they tried their utmost to preserve it, as they do even today in India. 2. Buddhism is an intrinsically tough religion to follow because it places the burden of salvation and survival on the individual, without offering any help from external divine entities to individuals facing difficulties in their lives. On the other hand, non-vedic Hinduism as practiced today offers 330,000 gods to assist people in every aspect of their lives. As drowning men clutch at straws, people want someone … anyone … to help them when sinking ever deeper into the quicksand; a BANA lesson in self-reliance delivered from the edge of the pit is the last thing they need. Religions which offer a Pantheon of Gods (Hinduism, ancient Greek, Roman, Egyptian, Aztec, Maya and Inca etc), or one All Powerful God (Christianity, Islam, Judaism) satisfy that human need for divine help. Other goodies are offered by different religions to meet human needs are also absent in Buddhism. Roman Catholicism allows one to gain forgiveness of sins through confession of sins, Hindus can offer pujas and sacrifices and gain divine help, historically Jews offered animal sacrifices to God in Solomon’s Temple in Jerusalem to gain his favor, and Muslims can engage in just-war (Jihad) to preserve their interests and gain 72-virgins in heaven if they die in battle. There, however, is no forgiveness for Buddhists who will suffer from their akusal, and benefit from their kusal, until they attain nirvana through the preponderance of merit they themselves accumulate through their own efforts through the karmic cycle operating through samsara. Who but a madman would accept such a bad deal as Buddhism offers? In fact, one king ostracized Buddhist temples and monks and nearly destroyed Buddim in Sri Lanka for this very reason. He converted to Hinduism because the Hindu priests were only too happy to offer him forgiveness for his sin of killing his father in exchange for his royal patronage for Hinduism and Hindu priests. In short, I believe that the second reason Buddism lost ground to Hinduism in India is the failure of Buddhism to satsify the need of ordinary people for divine help. 3. The third reason why Buddhism disappeared almost totally from India is due to Muslim invasions that occurred long after the revival of Hinduism in India for the first two reasons I give above. Buddhism thrived in India under the Mayryan, Gupta and Kusan dynasties until about 400 AD at which time the caste structure had reasserted itself in INdia and Buddhism was in decline. Hinduism grew in favor and was the principal religion of India from about 400 AD to about 1000 AD, despite invasion by Arab Muslims who were defeated by Hindu kings (e.g. Battle of Rajasthan, 738 AD) and prevented from invading lands east of the Indus river. From 1100 AD or so until the Mughal empire was destroyed in 1857 AD, Muslims of Turkic descent began to invade India, especially around 1200 AD. Although Hindus fought back rather effectively, they completely destroyed Buddhist communities in India, so much so that by 1500 AD Buddhism had completely vanished from North India. In fact, it is estimated that in the later invasions Turkic Moslems killed about 80 million native peoples of North India. These are historical facts that you can verify for yourself. Therefore, we cannot say that Hindus destroyed Buddhism in India. Buddhism lost ground gradually to Hinduism for the two reasons I identified above, until the Moslem completely eradicated Buddhism by the sword from North India. You are talking through your HAT! How do YOU really know that Modi has “blood on his hands”? The Supreme Court of India investigated this charge and absolved him of any responsibility for the riots in Gujarat. What is it that you know that has been missed by India’s supreme court, and when does someone INNOCENT of a crime have to REPENT for it? In CONTRAST, Emperor Asoka repented the death of vast numbers of people in his war against Kalinga Deshaya (in the state of Orissa, now Odisha) because of his own culpability for the deaths because he iniated it for expansion of the Mauryan Empire, and not for defending his own territory. In that war it is reputed that 150,000 Kalinga warriors and 100,000 Mauryan warriors were killed. It is good that Dharmasoka REPENTED the Kalinga War, but Modi has done NOTHING TO REPENT! In a similar vein, Tamil Nadu leaders, Vaiko in particular, is calling President Mahinda Rajapaksa the “Butcher of Tamils”. When does bringing Murderous Terrorists who caused the deaths of 150,000 innocent Sri Lankan citizens to justice amount to “Butchering” people? Every opportunity was given to the LTTE to stop waging war and surrender to the armed forces, to release the Tamil people being held hostage by them, and to enable the rank and file LTTE cadre to save their lives, as many did diring the last phase of the war, directly by surrendering, or hiding among the civilians as refugees. At any time the LTTE could have chosen to save lives, but didn’t. That is no fault of the President who has sworn to uphold the laws of Sri Lanka, and defend its people, and protect its sovreigniety. That is not Butchery by any definition, of Tamils or anyone else. President Mahind Rajapaksa has discharged his LAWFUL DUTY as he has sworn to do. He should be awarded the Nobel Peace Prize for saving the lives of tens of thousands of his fellow ciitizens lives. The name of Mahinda Rajapaksa will remain etched in the minds of all patriotic Sri Lankans and will be forever embossed in Gold Letters in the History of Sri Lanka. MR NEVER allowed a RIOT. War is not a riot. It is an organized thing targeting only terrorists. A riot targets ONLY civilians. That is the difference between Modi and MR. IF Viggie had the powers of Modi as chief minister and AROUSES Tamilians to attack Sinhalese in the north and then do NOTHING until 2,200 Sinhalese are killed and then remain unapologetic, that is equal to what Modi did. Modi inviting MR to swearing in is GOOD unless he makes use of it to BULLY him. “The Press Trust of India quoted Modi as saying at an election rally in Chennai that a strong and determined government was the needed as small countries like Sri Lanka were provoking India and have to be met head on and dealt with strongly in order to protect the rights of Tamils worldwide. Modi’s party, the BJP, say they will push for full devolution of powers in Sri Lanka and a political solution to the Tamil issue. BJP president Rajnath Singh accused the Congress-led UPA government of failing to help the cause of Sri Lankan Tamils, and said there had been no progress in the devolution of powers as per the 13th Amendment. “The UPA lacked the diplomatic skills to handle such sensitive issues,” he said, before promising that the BJP would set this right if they came to power. THIS is Modi and BJP. OWN words and OWN threats made JUST 1 month ago. Narendra Modi and other BJP leaders may have said those things against Sri Lanka in the heat of the Lok Sabha election campaign to attract Tamil Nadu votes. What they do AFTER the election, and AFTER the people of Tamil Nadu have largely REJECTED the BJP and voted for the opposing AIADMK led by Jayalolitha, will have no relationship to what he said BEFORE to gain votes and support, ESPECIALLY now that he has won an overwhelming mandate from the people of India without assistance from Tamil Nadu. The former UPA Govt led by the Congress Party never had an overwhelming majority since Rajiv Gandhi’s first term as Premier, and ALWAYS compromised India’s National Interest on the Sri Lankan Tamils issue by acting against Sri Lanka to curry favor with the Racist demagogues of Tamil Nadu in their quest to incorporate a part of Sri Lanka into a Greater Tamil Nadu. The BJP under Narendra Modi’s leadership, given its overwhelming majority in the Lok Sabha, may not continue those past policies of the Indian Govt, and there are solid reasons and indications that he may not do so …. in India’s National Interest. 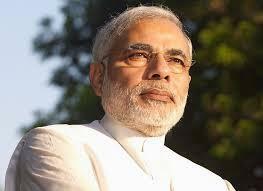 Sri Lanka has to HOPE for the BEST and reach out to Narendra Modi as President Mahinda Rajapaksa is now doing. But, as I have ALWAYS MAINTAINED, Sri Lanka has to PREPARE for the WORST even if Modi adopts a positive attitude towards Sri Lanka during his tenure, because there is NO GUARANTEE that future Indian Govts will not reverse course. Tamil Nadu has always been, and will always be, a higher priority for India than Sri Lanka. Therefore, Sri Lanka should take every possible action to PREVENT India from acquiring a DOMINANT POSITION in Sri Lanka’s internal affairs by reducing India’s involvement in Sri Lanka’s ECONOMY, POLITICS, LABOR FORCE, RECONSTRUCTION, and NATIONAL SECURITY, and REPEALING the 13th Amendment at the earliest possible opportunity. As a Sri Lankan patriot who supports Modi’s ascent to power in India, and wanted Sri Lanka to reach out to him, I still think it is too early for us to decide that Modi is bad for Sri Lanka. EVERY Indian leader will want Sri Lanka to implement the 13th Amendment in full, as it is India’s baby shoved down unwilling Sri Lanka’s gagging throat, and it costs them NOTHING, if we SWALLOW it … without VOMITING it OUT. As long as Sri Lanka DOES NOT OPPOSE IT, and DOES NOT CLEARLY CONVEY our REASONS for not wanting to Empower SEPARATISTS COMMITTED then and now to the utter destruction of Sri Lanka, India, Modi/BJP will CONTINUE to push the 13th Amendment just as the UPA/Congress Party did. They are doing favors for their Tamil citizens at Sri Lanka’s expense! The Sri Lanka Government has to STOP SAYING that we will implement the 13th Amendment. Instead, The GOSL must say that we don’t want a Federal Govt in Sri Lanka, even if India feels comfortable with that type of Govt and is prepared to cope with secessionist movements in India (Kashmir, Assam, Nagaland, Tamil Nadu and elsewhere) FOREVER! We have BEEN THERE and DONE THAT …. and WE DON’T WANT TO DO IT! The 13th Amendment was PUSHED DOWN Sri Lanka’s throat BY FORCE while India was OCCUPYING a large part of Sri Lanka. Such a Law is ILLEGAL under International Law, and Sovereign Sri Lanka is entitled to ABROGATE and REPEAL such a Law. Every sovereign nation is DUTY BOUND to its citizens to do so, as SOON as it can, just as Czechkoslovakia abrogated The Munich Agreement that partitioned it on the eve of World War II, under threat from Nazi Germany. The VICTIM is NEVER DUTY BOUND to honor an agreement it is forced into by an AGGRESSOR, UNDER DURESS! NEVER! Until we POSE our OPPOSITION in India’s own CONTEXT, and get them to wear our shoes, for example by devolving autonomy to Kashmir Muslims and face the prospect of disintegration of their own country, they will CONTINUE to PUSH Sri Lanka to devolve power to Separatists. It removes no skin off their noses! As both Sri Lanka and India learned from the British Colonialist, what is mine is mine, what is yours is negotiable. AFTER we do that, we have to evaluate what Modi/BJP will do, and take whatever steps are needed. But until then, as long as India believes it can FORCE Sri Lanka to commit harakiri, and we DO NOT CATEGORICALLY REFUSE, they will ask Sri Lanka to devolve power and implement the 13th Amendment. As I said before, we have to HOPE for the BEST, and PREPARE for the WORST. By reaching out to Modi/BJP we have LOST NOTHING, but there is a opportunity for gain that MUST BE TESTED. in the ECONOMY, in LABOR, in BANKING, in CONSTRUCTION, in ENERGY, in OIL & GAS, in HEALTHCARE, in POLITICS, in AUTOS, TRUCKS, BUSES, in VISAS on Arrival for Indians, in TOURISM, in DIPLOMATIC PRESENCE, …. EVERYTHING … because even if Modi/BJP favors Sri Lanka, there is NO GUARANTEE that future Indian Governments will not reverse that posture, given that Tamil Nadu will ALWAYS have HIGHER PRIORITY for India than Sri Lanka. ALWAYS! We have to ESCAPE this DEADLY Indian Embrace, because it will INEVITABLY bite Sri Lanka SOMETIME in the future. That is an ABSOLUTE CERTAINTY! Even after we OPPOSE it they will CONTINUE to do it. It is a PROMISE of BOTH congress and BJP to Endians (Tamils). As you say it was forced upon JR. He NEVER liked it. The coutnry OPPOSED it. But still it was pushed down JR’s throat by Endia. So there are TWO culprits here not one. MR opening his legs and Modi thrusting his Tamil sivalingam through them. BOTH at fault. You can’t praise Modi and blame MR on 13 amendment. We MUST expect Endia (SL’s PERENNIAL ENEMY #1) to disrupt SL, support Tamil racist demands and ROB whatever SL has. We must not in anyway praise or support ANY Endian PM or govt. UNTIL they prove they support UNITARY SINHELA BUDDHIST SL. Modi has not done it (to say the least). That seals who Modi is. The Endia ruled by Asoka is LONG DEAD. It will NEVER EVER come to life again. The sooner we accept this NOBLE UNIVERSAL TRUTH the better. 5. Endia and Tamils are the enemies of SL (extremely FEW exceptions). Come off it .. Modi has barely sat in the saddle to ride the Bharat horse. Give him some time before you crucify him!